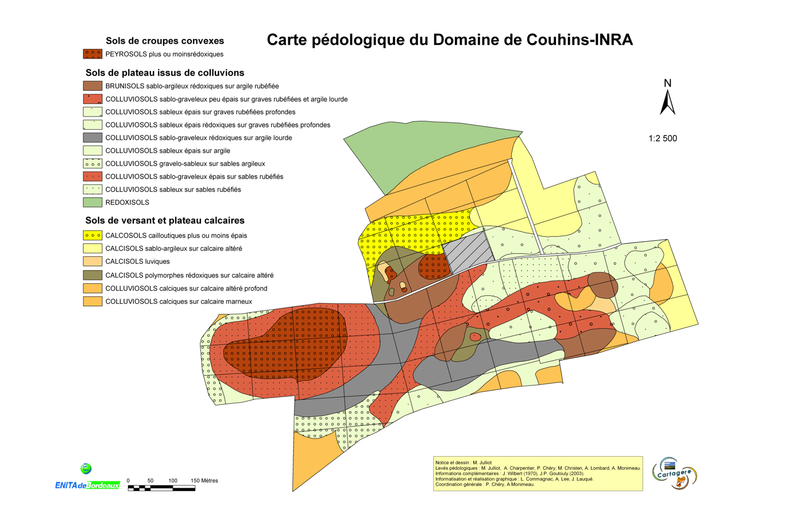 The soil map for Château Couhins shows a degree of heterogeneity in the soil, favourable to high quality viticulture. 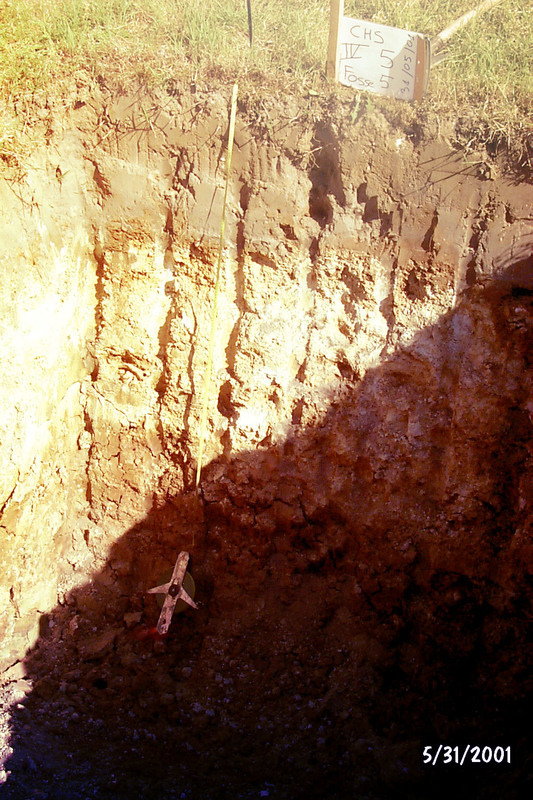 Three main areas are identified: a gravelly hilltop, a clay-limestone foundation and a sand-clay zone. Couhins' gravelly hilltop is one of the highest in the commune of Villenave d'Ornon (41m). 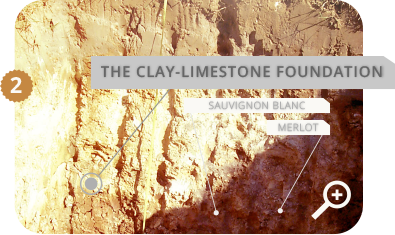 It is similar to the soil types found all over the left bank of the Garonne (Médoc and Pessac-Léognan). 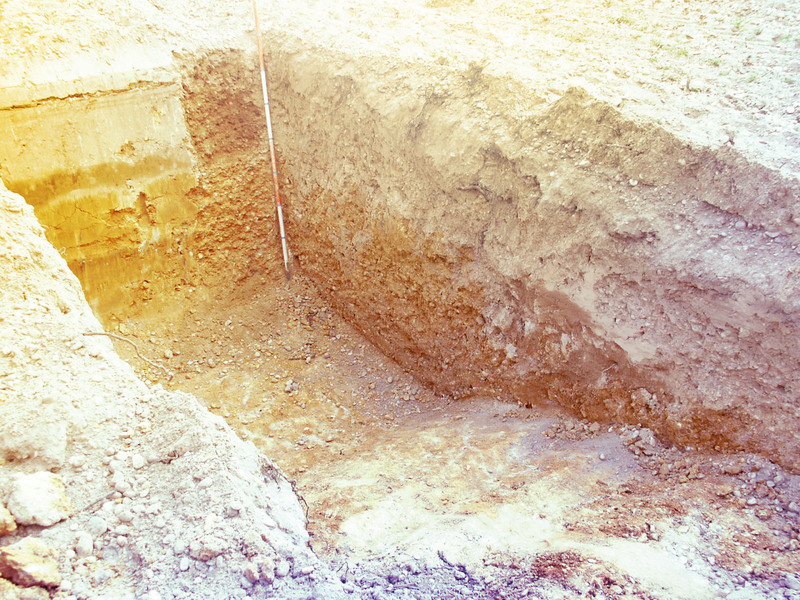 It consists of a layer of pebbles of extremely variable depth which lies on a sub-soil of compact clay. This "corrugated" soil morphology is the origin of the significant variability between apparently similar plots. During the soil preparation we therefore break up this sub-layer in order to encourage the development of deep, uniform roots. 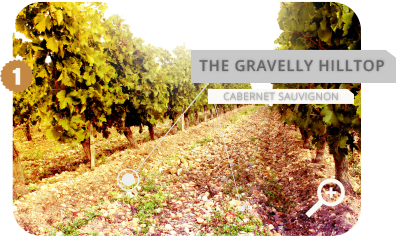 In this way, this complex terroir has shown itself to be particularly suited to the ripening of Cabernet Sauvignon, a grape variety that requires water constraints in order to express its full potential. On the north slope, the plots are cooler, and have a particularly crumbly limestone base. These plots have the characteristic of storing water and then releasing it to the vines in dry periods, which is perfectly suited to Sauvignon Blanc, a variety that is sensitive to a lack of water. 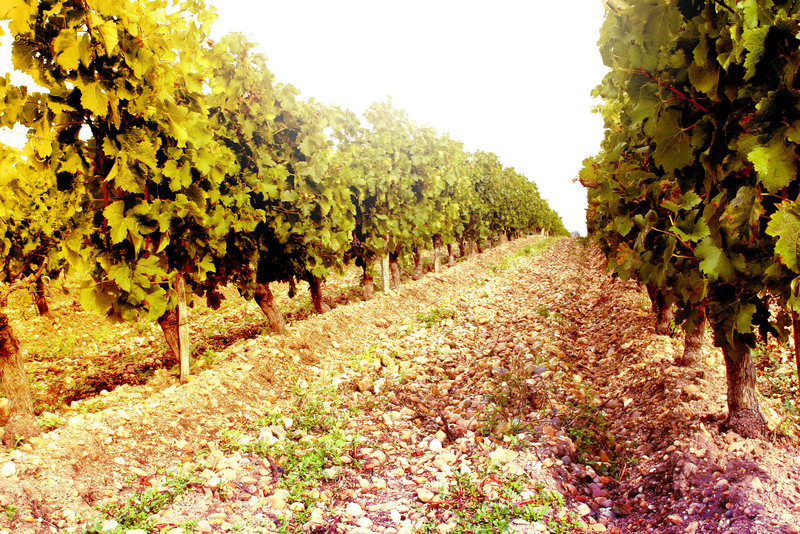 The resulting grapes regularly produce the property's most aromatic batches of wine. This slope also provides Merlot with favourable conditions for the expression of the fruity, fresh notes that contribute to the complexity of Couhins' red wines. This intermediate zone, located between the two big blocks formed by the gravelly hilltop and the limestone base, was created by the erosion of the gravelly hilltop. 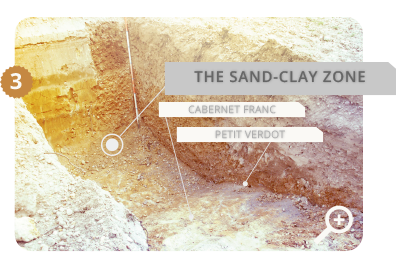 It has a clay sub-soil covered by a layer of sand, gravel and clay conducive to the slow, gradual ripening of Cabernet Sauvignon. The gravel was carried here 500,000 years ago by rivers that were precursors of the Garonne. Erosion phenomena resulted in the formation of a hill. Couhins' northern slopes lie on a base of asteriated limestone, resulting from substantial marine sedimentation (Stampien, -30 million years).